I am really good at tearing myself down. I am guilty of speaking negatively to myself. Regardless of what I do or how much I try, I still find fault with myself. In my mind, I think that I should have done more or tried harder. This type of mindset discourages me. And I’m sure some of you, who will read this today will be nodding your head and understanding exactly how this feels because you do it as well. But what if we all decided to be an encourager instead of a discourager? What if we decided right now to give ourselves some grace? And to love ourselves right where we are in our lives. When we are already discouraged when don’t need tough love and to be hard on ourselves. What we need are grace and love. 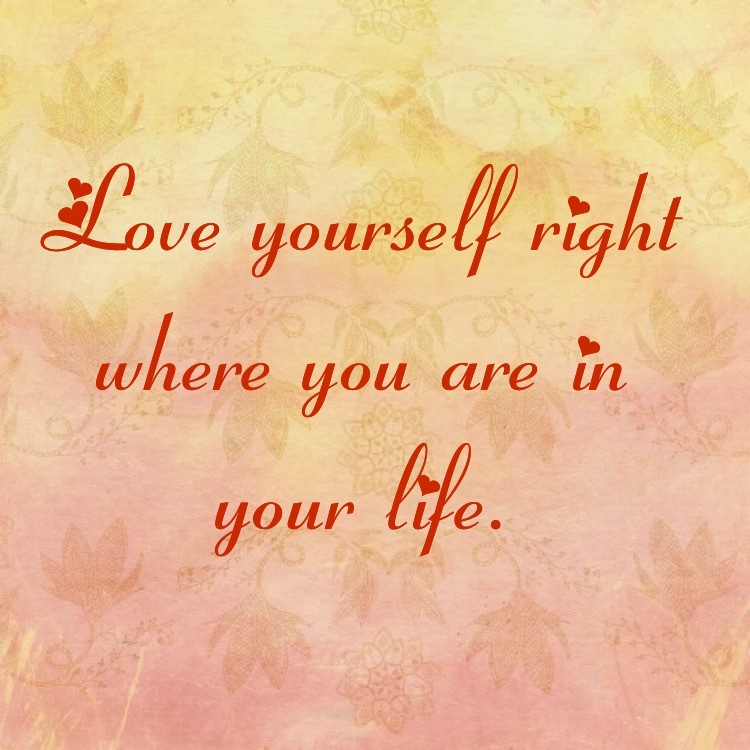 Loving ourselves, right where we are in our lives, is one of the greatest things that we can do. We don’t have to wait for the next accomplishment to be proud of ourselves. Nor the next pat on the back from someone else. We can give ourselves the encouragement we so desperately need right now. Talking harshly to myself never motivates me. It just makes me feel worse. Then instead of doing better, I do worse. Learning to love me unconditionally is so powerful. Because I am going to fail. I am going to make bad decisions at times. I am going to have bad days and bad moments. The key is to love myself through it and talk to myself as I would the ones I love so dear. I would never say the things to my loved ones that I say to myself. Actually, it is not even me. All the negativity comes from my mind. And the enemy is in our minds. It’s the voice that chatters constantly. Have you ever stopped to listen to that voice? The negative voice is filled with doom and gloom and has a problem for my every solution. Therefore, when I am down I need to be encouraged by the truth. I am learning to replace the lies of my enemy with the truth of God’s word. Here are a few scriptures that help me when I am feeling down.